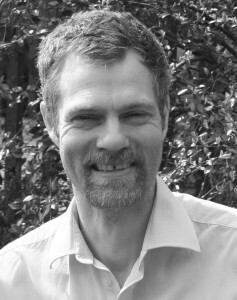 I am Roland Arnison – a consultant and writer on the circular economy and also a film-maker and an outdoor adventurer. I established Shearwater Consulting in 2004 to help organisations transform their environmental performance. In recent years, my work has evolved into supporting green technology innovators and helping government agencies and businesses to understand and develop circular economy approaches. I have qualifications in environmental science, sustainable energy and also in the circular economy through the Ellen MacArthur Foundation’s postgraduate course. In earlier times, I have helped run a recycling business, managed a cross-sector national waste forum and carried out research into wastewater treatment using reed beds and commercial scale composting. Over twenty years of working in the environment sector, I have developed expertise particularly in energy, waste, carbon, food, environmental technologies and eco-innovation. I use these as a foundation for a holistic systems-thinking approach to addressing environmental and resource challenges both in my work for clients and in my wider interests. When not working, I like to tinker with my own circular economy inventions at home – my current project is growing insects as a protein feed for my chickens – and to get out into the wilderness, mountaineering, canoeing or mountain-biking. I am always happy to talk to new people, to explore potential ideas and collaborations. Please do not hesitate to get in touch.